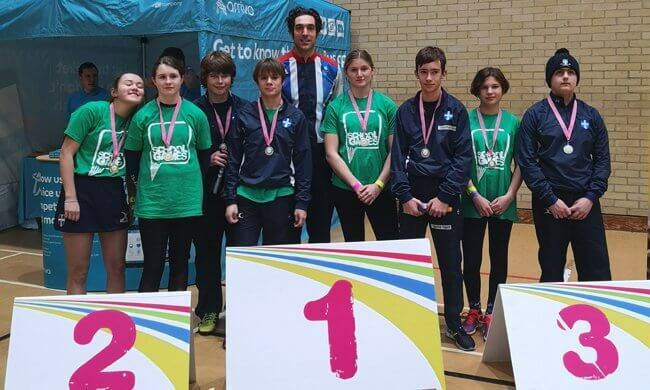 On Friday 1st February, four Shell girls and a JKS boys’ team, under the guidance of James Hounsell, Geography teacher and rowing coach at JKS, qualified for the Kent School Games Indoor Rowing Finals at Medway Park. The Shell girls, Charlotte Lester, Olivia Shaft, Olivia Griffin (all LX House) and Uliana Yudintseva (JR House) stormed to victory, winning Team Gold with Olivia Griffin getting silver in the individual. The JKS boys grabbed a well-earned silver in the team event with Cassius Baker (Yr 8, JKS) winning gold in the individual. These are extremely promising results for the future of rowing at King’s.